Why can't I log in or register any more? May 2018 - Update - Due to the new GDPR regulation coming into force, Scale War Machines has changed the way your data and user account are handled. Firstly, we never used your data for any purpose other than registering you as a user. With the new legislation and the limited functionality available with a user account, we have decided to close registration and remove user data. All your details have been disposed of safely and will no longer be held on the website. That means you cannot log in or request a password anymore. If you have further questions, consult our Ts & Cs page for more information on how we store data and our compliance with the GDPR legislation and others. We are always transparent and decided closing all user accounts and reducing the personal data we held was the best way forward. This may change again in the future. Thanks for your understanding. What does Scale War Machines Beta mean - e.g. Beta 1.1 or Beta 1.3? Scale War Machines is undergoing Beta testing. This means you can use the website as normal but some of its features may be undergoing a rolling programme of development or evaluation. The aim is to give you the best experience possible & Beta testing is a key part of that process. Can I view this website & its multimedia content on my iPhone, iPad or smartphone? Scale War Machines is designed with the user in mind. It is iPhone, iPad & tablet friendly as well as offering the desktop user a fully-featured web experience. You should be able to surf our website with most smart phones & portable devices as well as your desktop computer. It is also ready for Windows 8 - the website is designed for touch sensitivity & is fully scaleable. On smartphones please be aware that viewing & downloading videos on a mobile or cellular network can consume significant amounts of your data allowance. Scale War Machines is designed for modern internet browsers. Here is a list of browsers we recommend you use. Internet Explorer: IE10 or Internet Explorer: IE9. I am a user of an older version of Internet Explorer or another browser, can I still use it to visit Scale War Machines? Users of older versions of Internet Explorer or other browsers can still use the website but it may not appear as intended & you may not enjoy all its full suite of features. Some of the features on Scale War Machines are not working. Why? How can I submit content & get involved with Scale War Machines? We welcome submissions from interested parties. Please visit our submit content page. Why is some content paid for? Scale War Machines offers some exclusive premium multimedia content to its users to purchase, download & own. This enables the website to keep making compelling, informative content for modelmakers. There's plenty of free content on offer on Scale War Machines for users but by buying one of our premium products you are actively helping to support us! Making films is a very expensive process & we can only continue to do so if you support us by buying. When I buy a video, how does it work? 1 - Add the video to your cart & follow the checkout process instructions, making sure you tick the terms & conditions. For transactions, you will be directed to the PayPal payment gateway for security & simplicity*. *You can still pay using the gateway even without a PayPal account - the gateway accepts credit & debit cards too. 2 - Pay for your product. 3 - Complete your purchase. 4 - We will send you an email confirming the purchase. As soon as your funds have cleared you will be sent another email with instructions to download your files. 5 - To access your files, you log into your account (one will be created for you on payment if you are a new user). On your user account page go to 'files'. You have 7 days to download your files before they expire. Download them to your computer & then use the player of your choice to view. 6 - If you have any problems, contact us. What format are the premium videos? The video you purchase will be an MP4 HD video file encoded & optimised for a number of desktop & mobile media players. It will be delivered to you as an archived zip file bundled with additional information & a transcription. Most computers can already "unzip" files but if yours cannot, try a free unzipping tool like Zipeg. In general, you will need a PC or Mac to unzip the file instead of a mobile device. How long will a file take to download? The video you purchase will be optimised for download but HD files are large, it may take time to download. If your connection fails during download, you can resume later within the 7 day period. Is there a limit on the number of times I can download my files? Yes & there are also restrictions on the number of times a computer can be used to download the same files. You will be warned before you exceed these limits. My file has the Scale War Machines logo in the top left of frame. Why? The bug or logo in the top left of your picture is for copyright reasons, it is required by a number of our third party footage partners. Can I buy a version of your premium modelling films or archive films without the logo? Individuals cannot buy unbranded content. 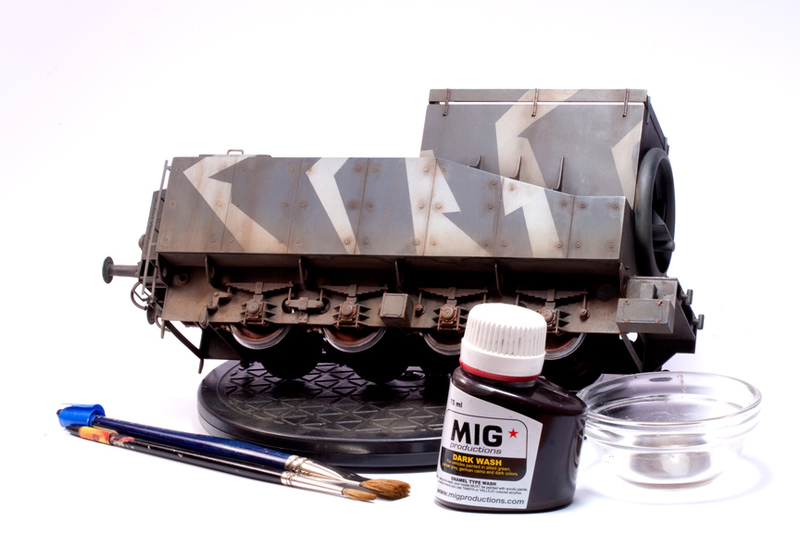 Can I use Scale War Machines material on my own website or in my own productions or projects? No as all material is copyright Scale War Machines - All Rights Reserved & cannot be used anywhere without permission from us. This includes our downloadable video files & any of our videos hosted on 3rd party video hosting websites. Please see our copyright notice & terms & conditions page for more information. I am a media professional looking to licence your HD content - do you offer business to business footage sales? If you are a broadcaster, TV production company, publisher or media company who would like to acquire un-branded HD content or license it, please contact us. Note this service will be at broadcast rates & is only available to media organisations not individuals. Where can I view Scale War Machines' policy on third-party copyright? You can read more about our policies on third-party copyright including our take-down policy on our copyright notice & terms & conditions page.